... Stylie / Lebaran in Red ... - Hi, I'm Titaz! In this special day, I choose my favorite color, Red! 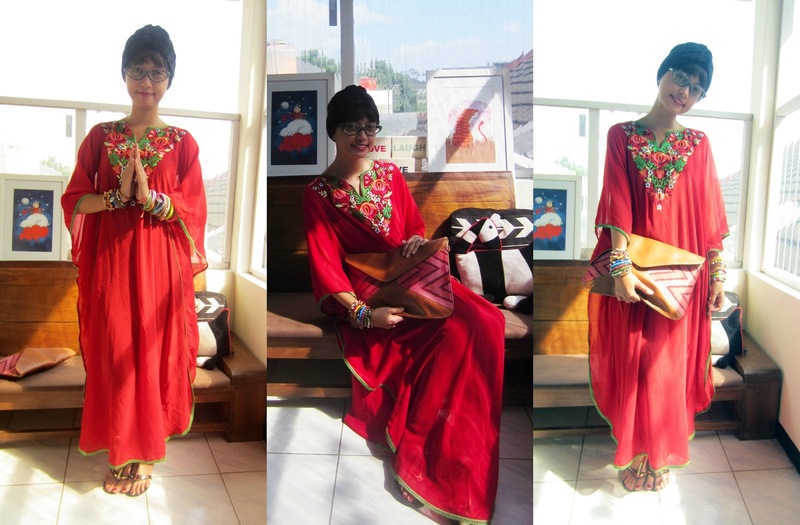 My mom gave me this cute red caftan with flower embroidery around the neck. simple and classic. 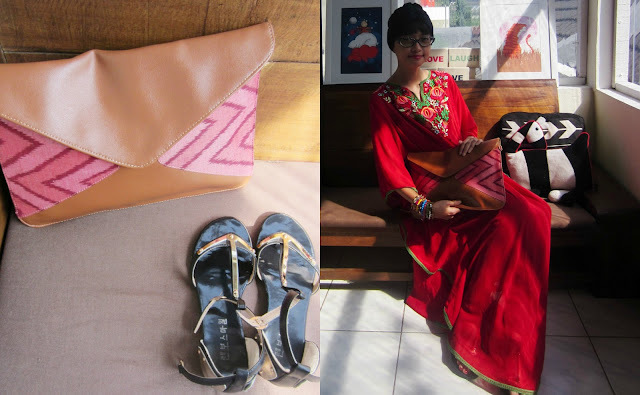 I combine it with Metal touch sandals, black velvet turban and Manikan envelope clutch. The red color is stand out. I wore it when Sholat Ied. And I feel different from the others who usually wear white colors hehehehe.